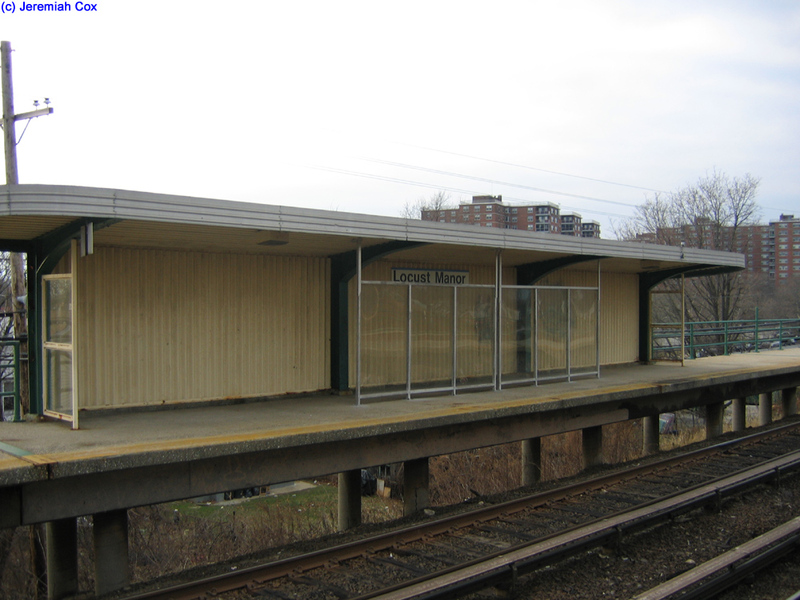 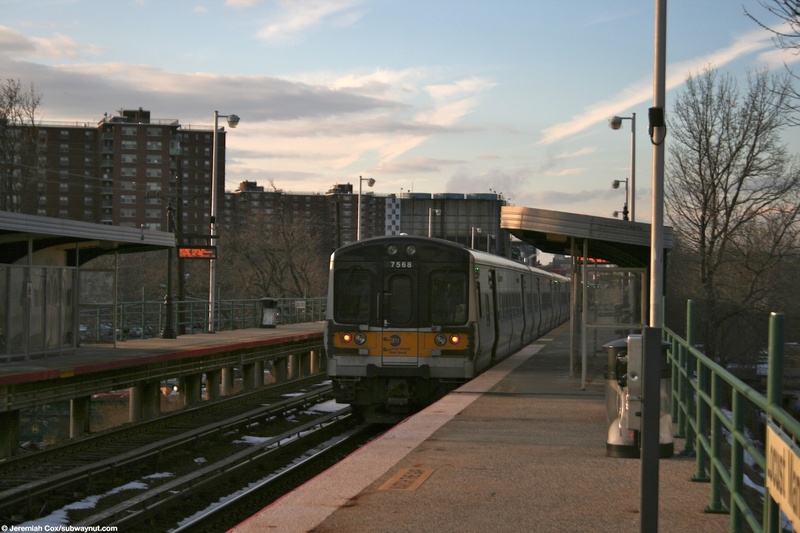 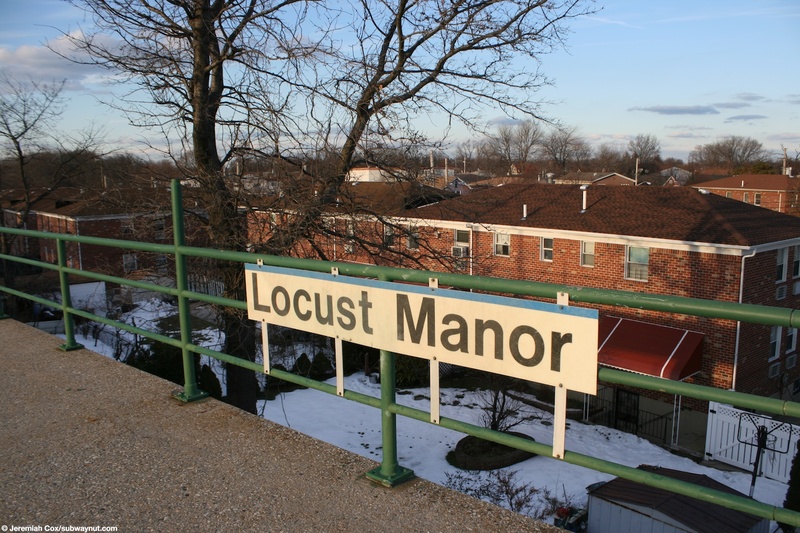 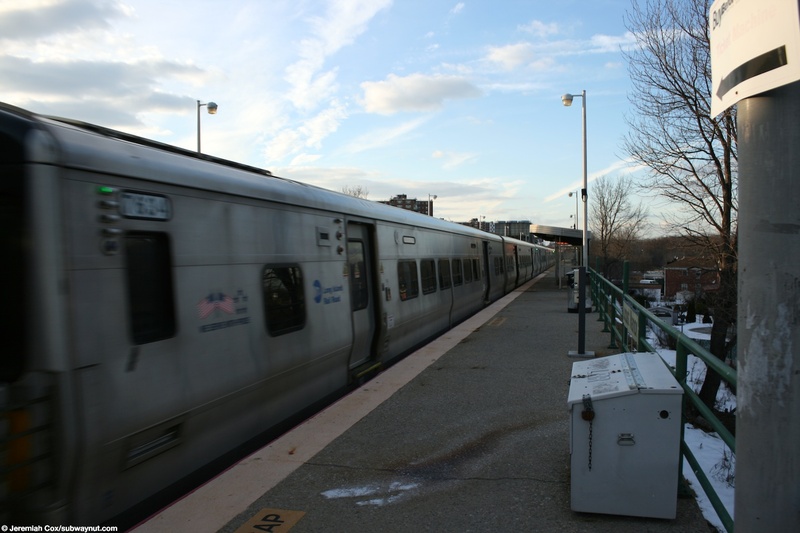 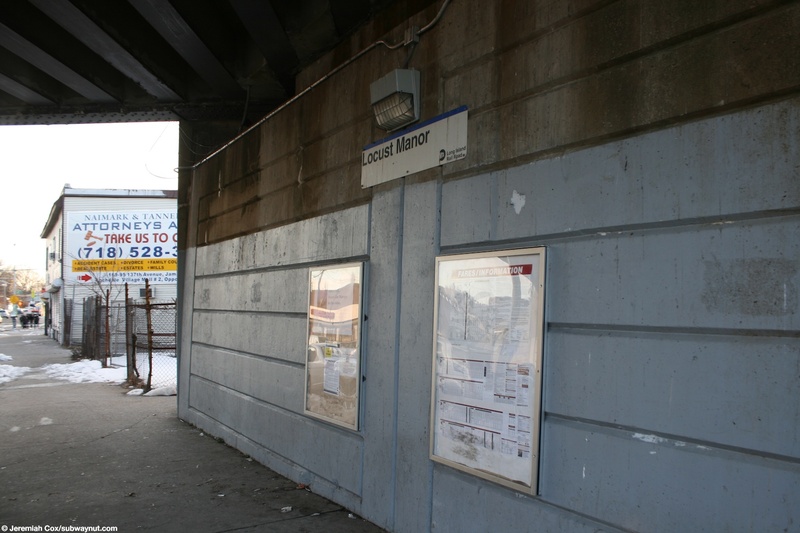 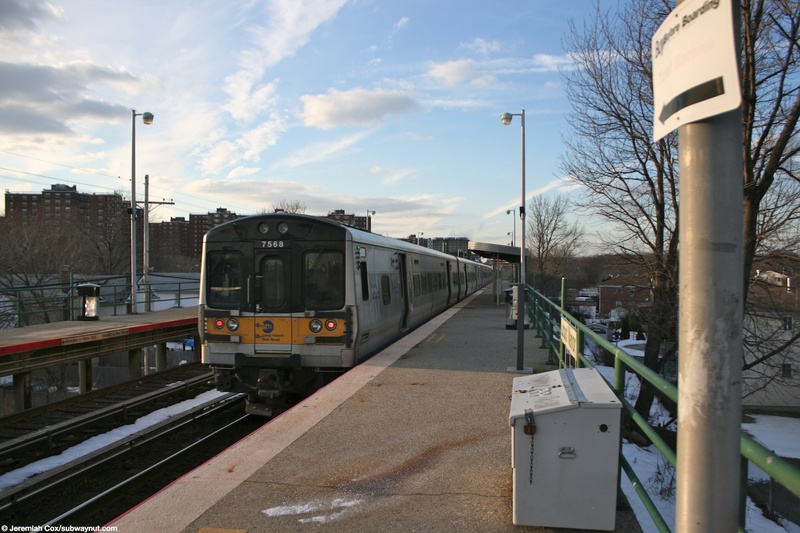 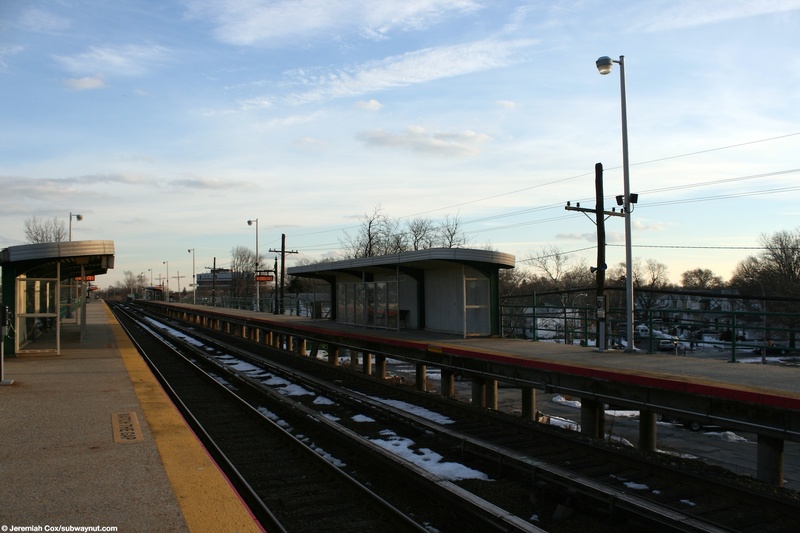 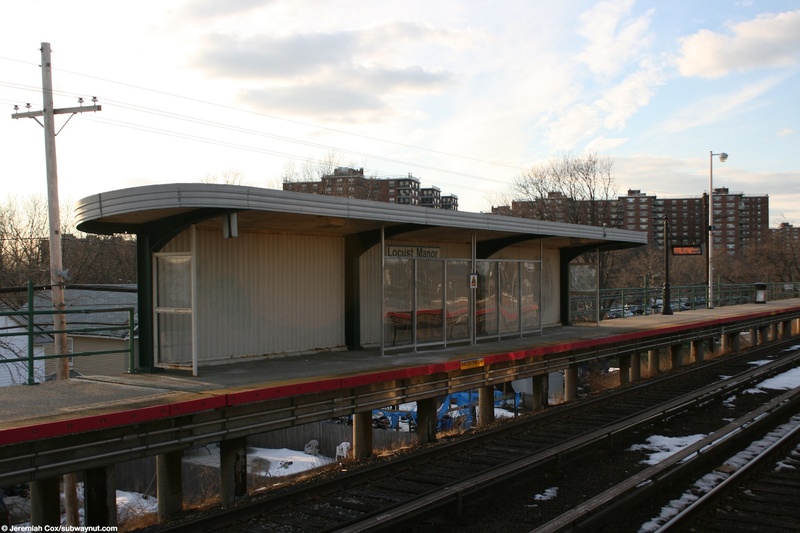 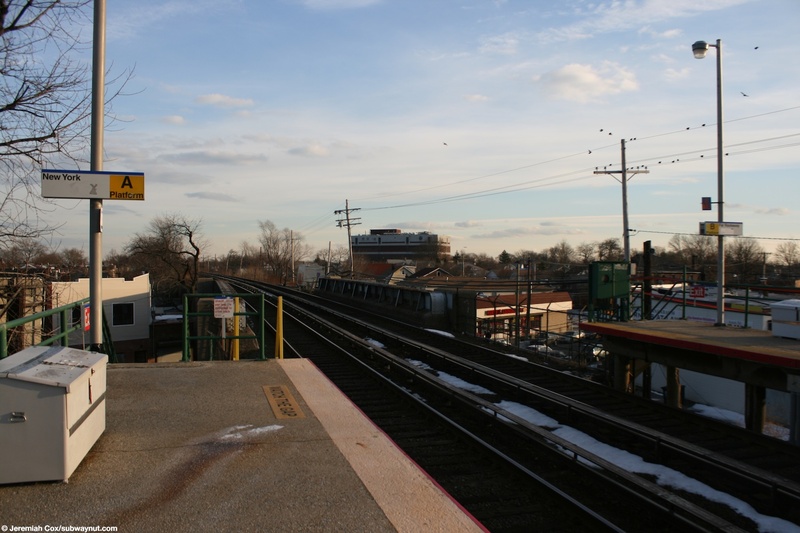 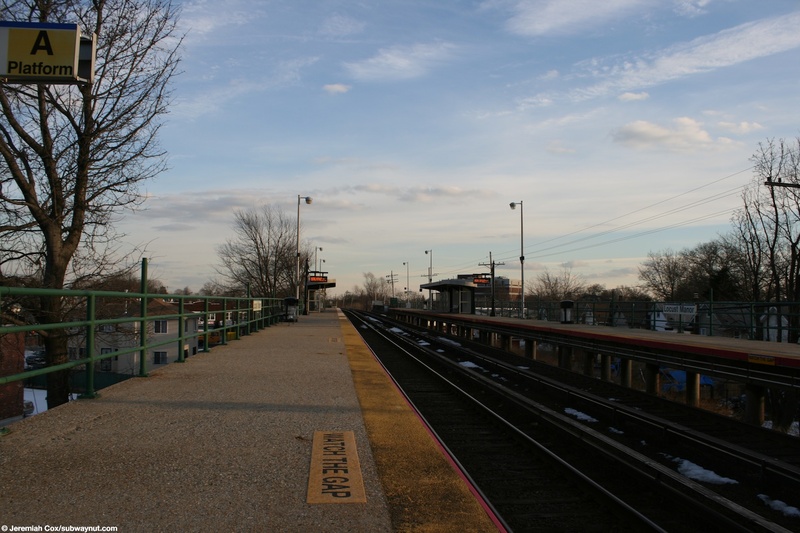 The Locust Manor Station has two narrow non-ADA access side platforms along the Atlantic Branch (which runs from the Atlantic Terminal in downtown Brooklyn to Valley Stream) which is here along an embankment This branch isn't it's own for schedules and schedules for this station along with the other two in Queens beyond Jamaica are listed in the Far Rockaway Branch timetable, although some peak hour Long Beach trains stop in the station during weekdays and all weekend service is provided by Long Beach trains offering passengers a one-seat ride to Penn Station instead of requiring them to change at Jamaica because all off-peak Far Rockaway branch service operates to Atlantic Terminal. 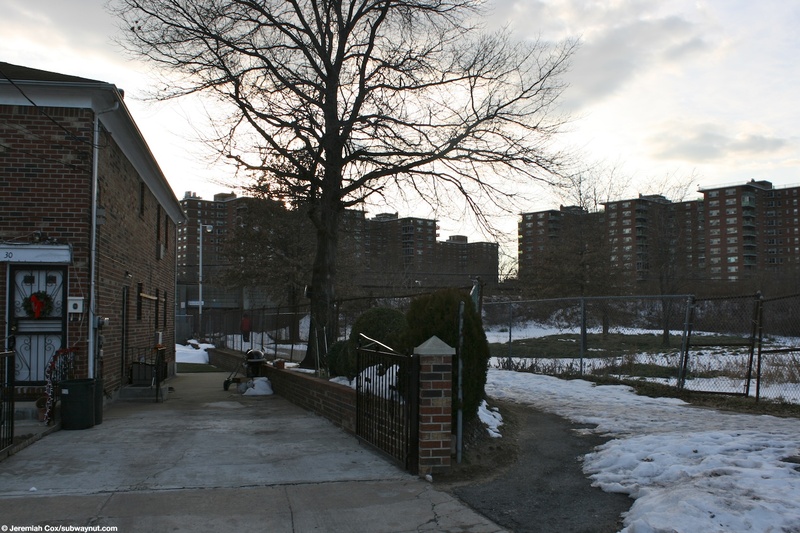 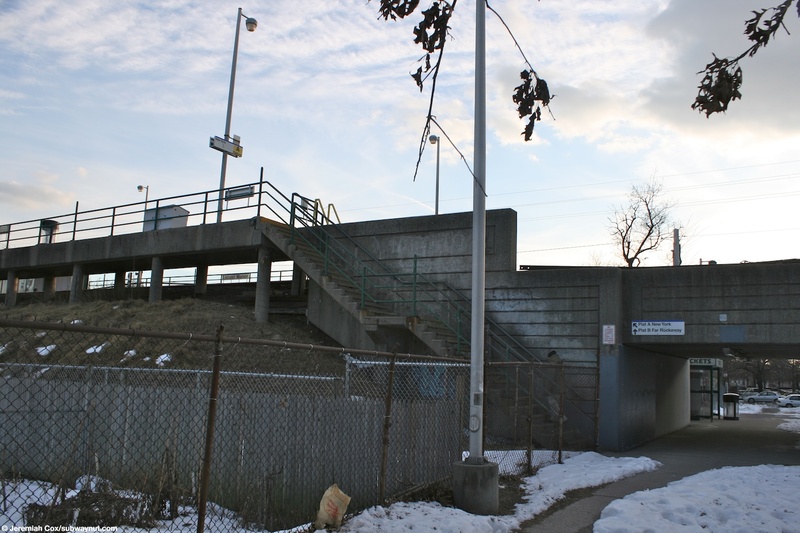 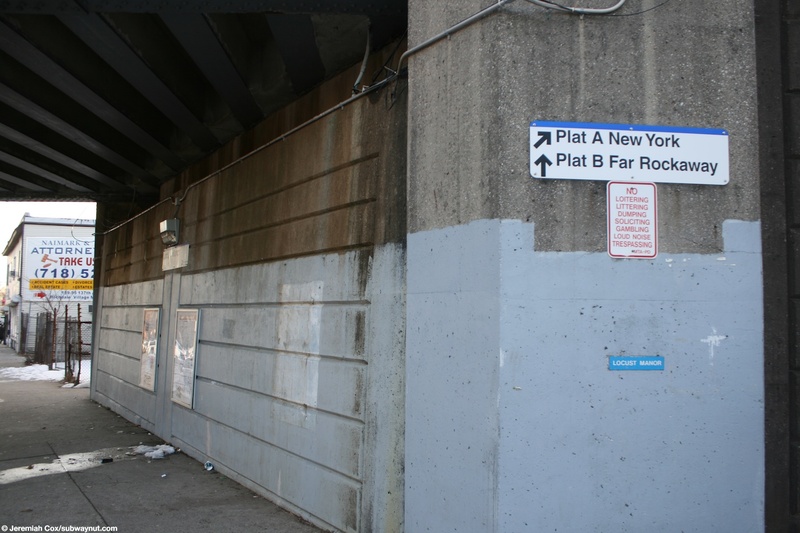 For access the two narrow side platforms each have a single staircases at their southern (eastern) ends down to Farmers Blvd's underpass with the street stairs exiting to the west side of that street. 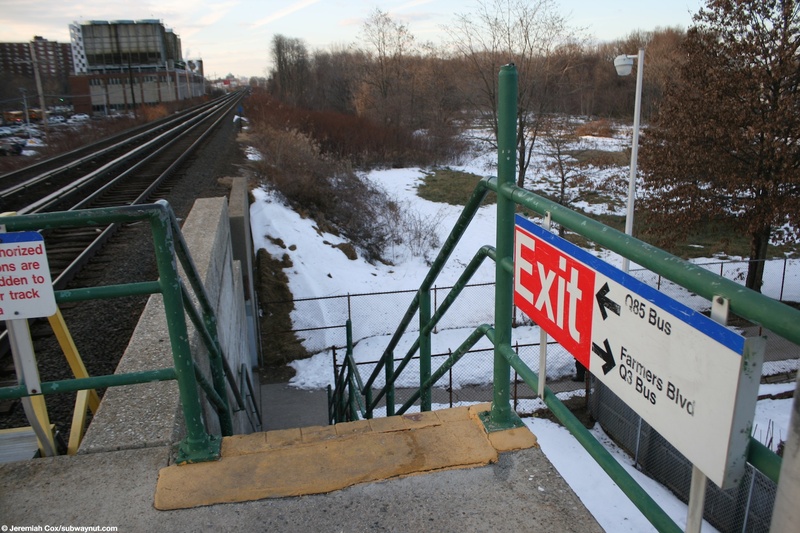 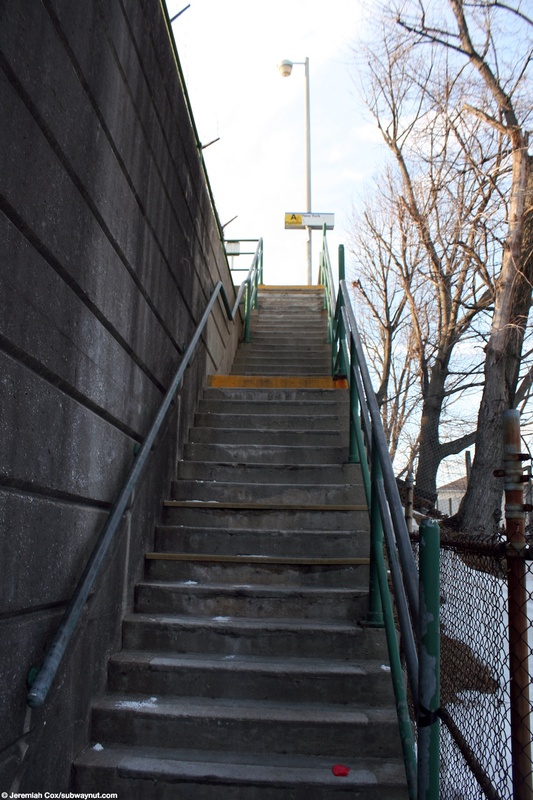 Additional main access to the platforms is from their soutern (western ends) where single staircases lead down to a pedestrian underpass beneath the tracks along a pedestrian walk between Bedell Street and 133rd Road, with a portion running through Railroad Park. 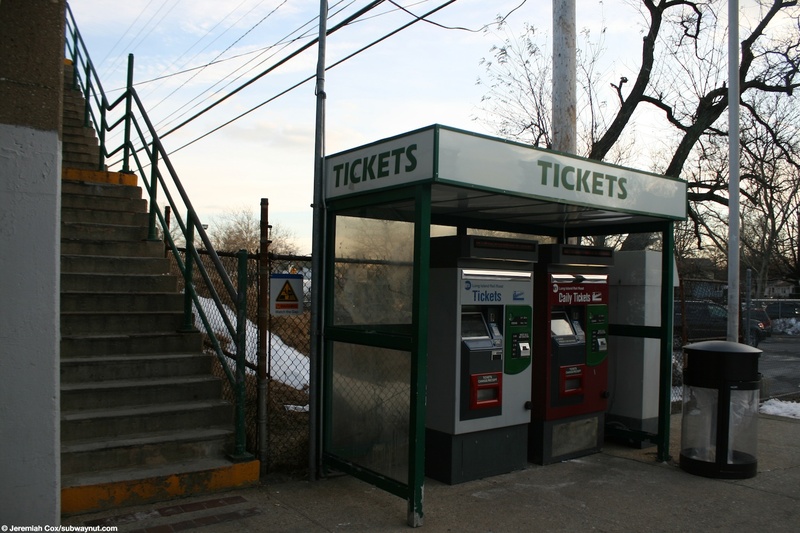 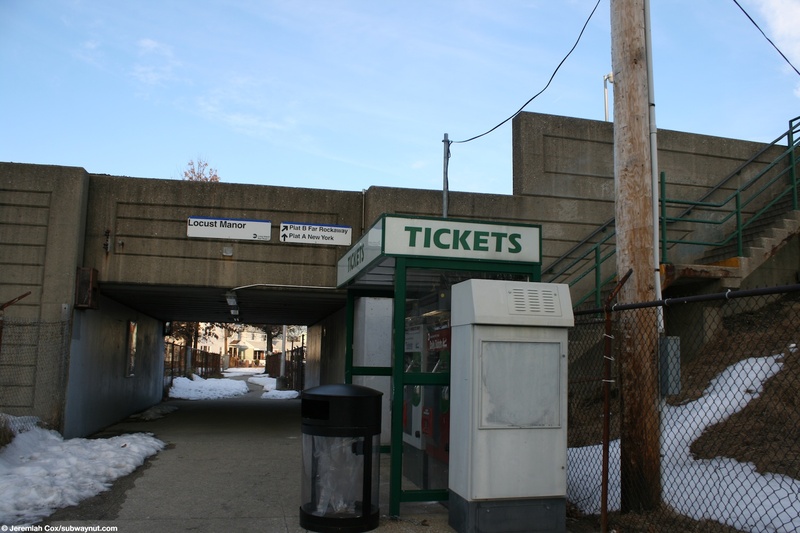 It is along this walkway where a small tickets shelter covers the stops two TVMs, one full service, one daily. 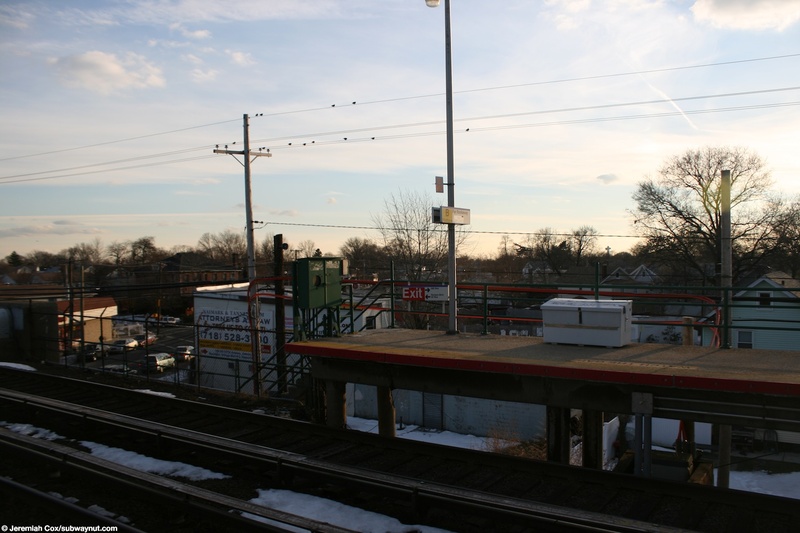 They are far too far away from the Farmers Blvd entrance, I (your webmaster) once almost missed a train here because of that barely having time to walk the length of the platform after buying my ticket. 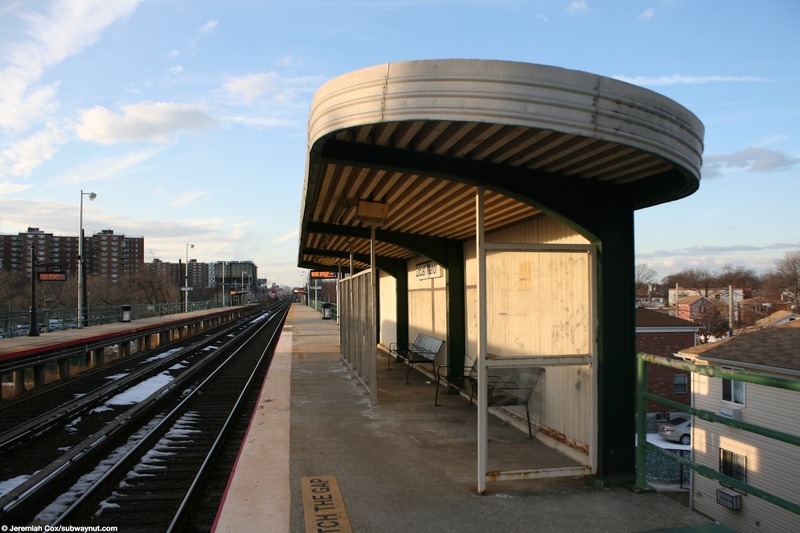 Most of both platforms are completely exposed to the elements with a simple green fence although there are two waiting areas which consist of a short section of platform that is wind screened (that look similar to the older not recently renovated elevated subway stations) and canopied with an unusual round roof, with a couple benches inside with an additional plexiglass divider to block the wind. 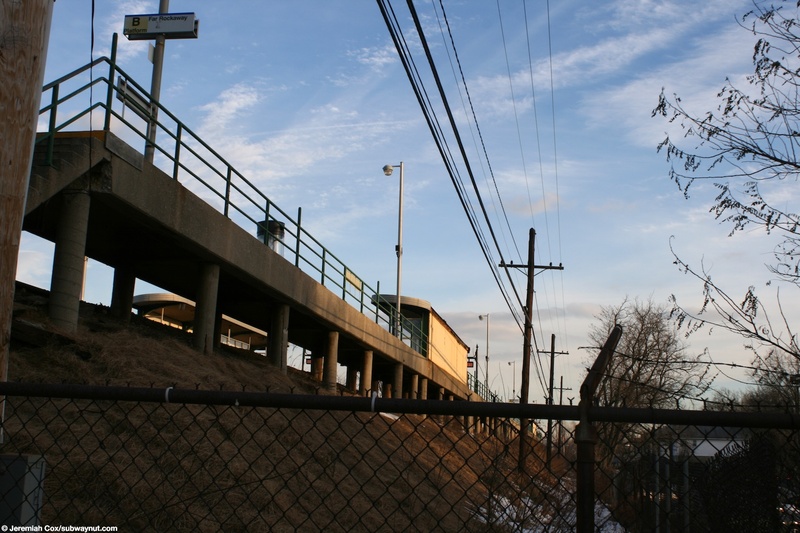 The metal supports of this structure are painted the same green as the fence.